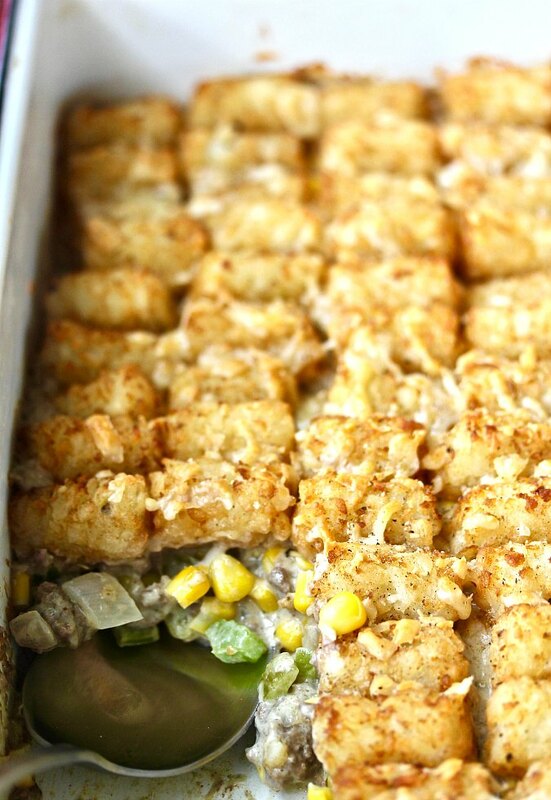 This Tater Tot Cowboy Casserole is a quick and easy comforting one-dish meal. It's so cozy and warming, and every member of your family will love coming home to it after a long day at school or work. This Cowboy Casserole will fill you up and warm you on cold days. I'm pretty sure even the pickiest of eaters would love it, as long as you can get them to take "just one bite." It takes very little time to get this cowboy casserole on the table from start to finish. In addition, this casserole is a great make-ahead dish. Simply make and assemble this casserole in advance and either refrigerate or freeze it before baking. I'm sure that giving the flavors time to meld only improves the tastiness of this dish. At the risk of the Minnesota and upper midwest food police coming to knock on my door and have me arrested, I will try to explain it as best I can. I'm a "foreigner" here, but I did work for a Minneapolis based company for 6 years. Hopefully that will give me some Midwestern street cred. I know, it's a total stretch. From what I can tell, the cowboy casserole is a subset of the hotdish, which is a subset of the broad casserole category. 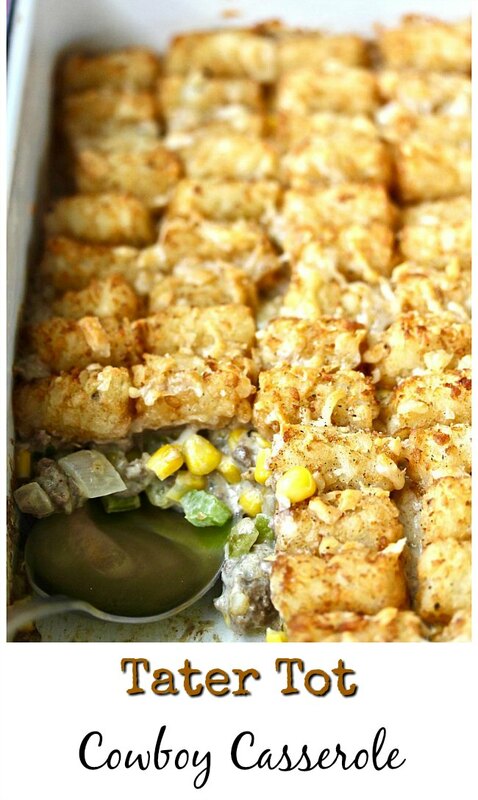 What distinguishes the cowboy casserole is that the vegetable in the hotdish/casserole is only corn instead of beans or mixed vegetables, and that there is some added sour cream and milk in the meat mixture. Cheese is also required. A hotdish (all one word) is an upper midwestern casserole made with a meat, canned mixed vegetables (including green beans), a "cream of..." soup, and a starch, often Tater Tots. It can include cheese, or not. Most of the hotdish recipes I've seen do not include milk and sour cream. That's not to say that a hotdish cannot also include corn, milk, and sour cream. All that being said, this Cowboy Casserole is seriously good, and a great way to stretch a family budget. These old fashioned comfort food casseroles are one of my favorite things to make. They are also kind of bland looking, because the meat mixture typically looks grey and like Hamburger Helper. Don't let that discourage you from making this. After all, beef stroganoff and sausage gravy also have the same look and they are delicious, right? And Tater Tots! Amirite? Feel free to use any can of "Cream of..." soup, including celery, chicken, and mushroom. I've also included a recipe for creating a cream of celery soup base for this casserole. You can make it in advance, or just before assembling this dish. It takes an extra 20 minutes, so if you don't have time, just grab a can of Campbell's. I seriously support this shortcut. I am not one to judge. 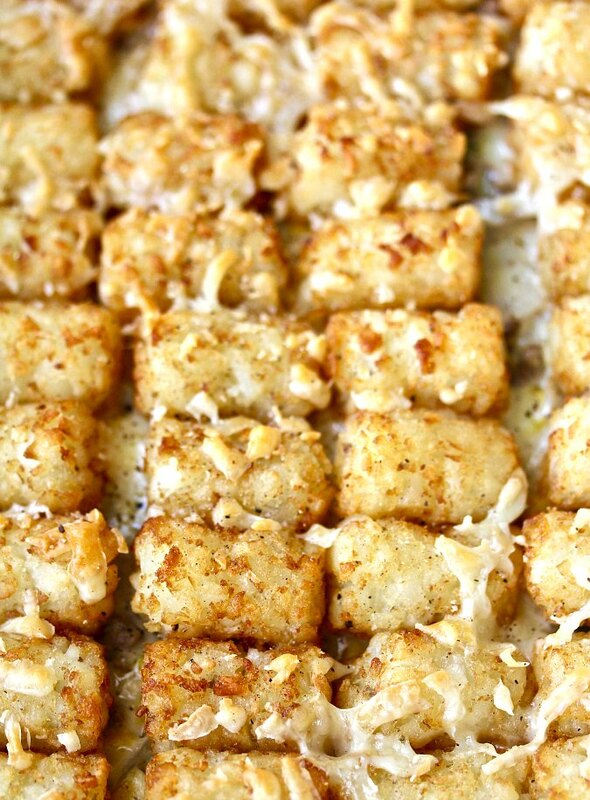 If you are concerned about the crispiness of the Tater Tots in the recipe, you can par-bake or pre-fry the potatoes before assembling the casserole. I did not do that, and didn't have an issue. It's up to you! 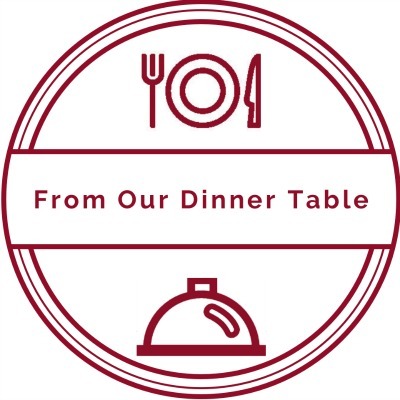 This week, the From Our Dinner Table group is sharing comforting casserole recipes. 1 can of cream of celery, mushroom, or chicken soup, or the homemade version below. Heat the oven to 375 degrees F and spray a 9 inch by 13 inch dish with spray oil. In a 12-inch skillet, sauté the ground beef, onions, and celery together until the beef is no longer pink. Add the corn, soup base, cheese, milk, sour cream, and Worcestershire sauce and stir. Add the granulated garlic and onion and add salt and pepper to taste. Pour the beef mixture into the casserole dish. Arrange the Tater Tots in a single layer on top of the beef mixture and sprinkle with the reserved 1/2 cup of cheese. Bake the casserole for 40 to 50 minutes, until heated through, bubbly, and crispy on top. Melt the butter in a skillet. Add the celery and onion and sauté for 15 minutes, until softened. Stir in the garlic and salt and pepper. Add the flour and cook over high heat for about a minute. Add the milk and broth and stir constantly until thick. Adjust the salt and pepper. Set aside while cooking the beef filling. How to stay up to date with Karen's Kitchen Stories? Check out my recipe index for more amazing recipes. Be sure to follow me on Facebook. Do you like taking photos of the food you make? You can also join my Facebook food photo sharing group (you don't have to be a blogger). While you’re here please take a minute to follow me on Pinterest. I’m always pinning great recipes from fellow bloggers. Finally, please follow me on Instagram. 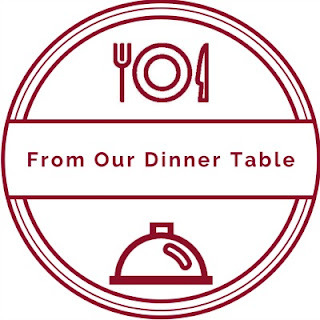 It’s a great way to stay up to date on all the latest and greatest blog recipes. Thanks Heather. It's easy peasy if you use canned cream of soup for sure. 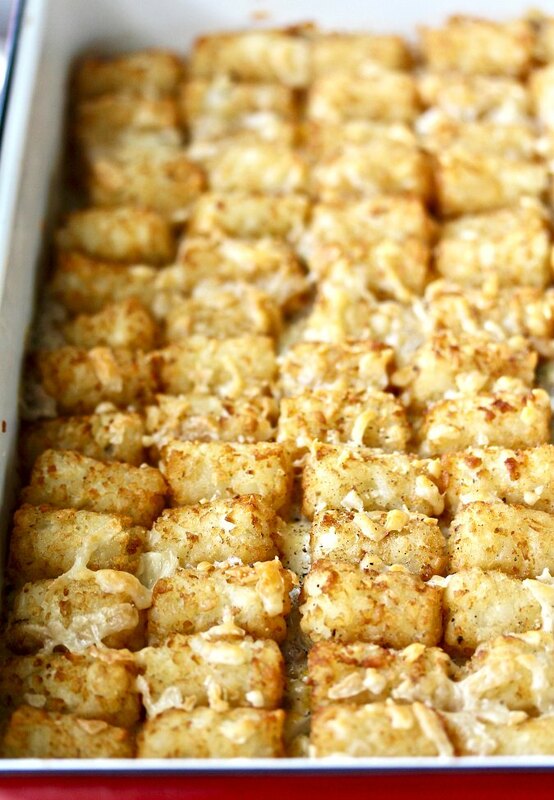 Anything topped with tater tots is delicious in my book! We are total tater tot lovers here. Can't wait to try this. It's totally new to me, but I'll be making more of these for sure! Pure comfort food. Adding veggies is a great choice! I haven't had tater tots in forever. I think it's time to introduce the kids to them! 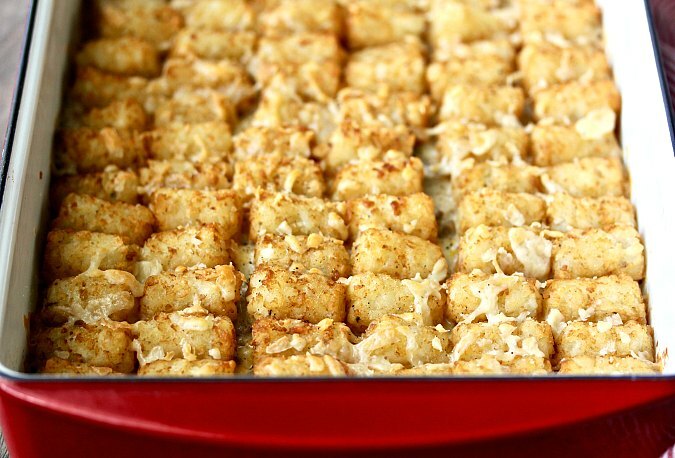 I love tater tots, and this casserole sounds amazing! I made my own tater tots a few times. I will give this a try! Thanks for sharing.